The thing is though, the downside of eating too much sugar (just to be very clear I am talking about refined sugars here), are not new and is backed up by a lot of research. I picked up some of my mum’s books about healthy eating from the 70s and guess what? They where highlighting it back then too. Sad thing is, it seems like our sugar consumption hasn’t really reduced since then either… Obesity and obesity related diseases are a massive problem today and it seems like it’s spreading downwards with younger and younger people being overweight too. I find this so incredibly sad as it’s not just the excess weight on its own that’s a problem. It affects our hormones and our mood. Excess weight, particularly around the middle has also been linked to heart disease and Type 2 diabetes. Not to mention how your self-esteem is affected by those extra pounds, when we live in a society so fixated with body image. On top of that carrying excess weight makes it harder and more uncomfortable to move and exercise. I believe that our “Western Diet” is not weight friendly at all. Eating that way will always bring you an uphill struggle with excess weight. You might be really lucky and put it on really gradually. But the weight will be going on non the less. To keep your figure, and your health there is really only one way to go, unprocessed and quitting sugar. And when I say quitting sugar, I mean the white refined stuff and even mores so the awful High Fructose Corn Syrup (HFCS). It can seem like sugar is in everything when you start reading the labels and it kind of is. Just be clear on avoiding the ADDED sugar and try to reduce or avoid adding it yourself to drinks and food. But please don’t vilify your best friends; fresh vegetables and fruit (in moderation). They are the foods we where originally made to eat. If you have decided that now is the right time to wave goodbye to refined sugar, make it as easy on yourself as you can. Start with the obvious. Like quitting liquid calories in the form of sodas / soft drinks / energy drinks. No one needs them, unless perhaps you are an endurance athlete, in the middle of a 3h+ race. Switching to naturally flavoured water, herbal teas and/or cutting out your added sugar in teas and coffees will make a major difference to your energy levels, your weight, your health and believe it or not, your taste! It is so easy to over-consume liquid energy as it has no fibre that needs processing and which is an important component to help us stay full for longer. 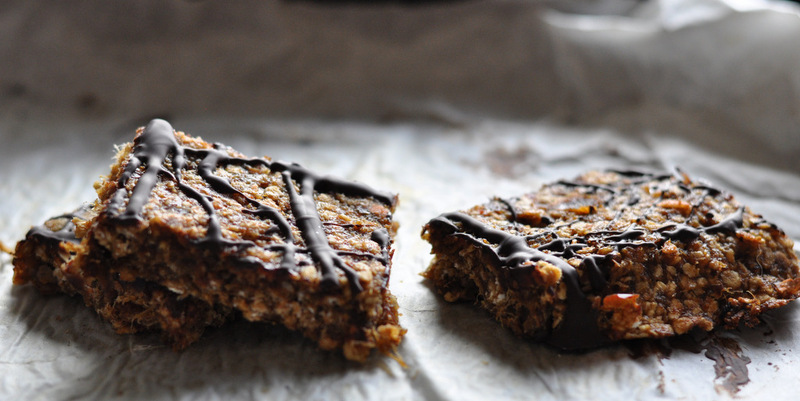 The next step would be to swap your usually processed, sugar laden treats / snacks for something more wholesome and that’s where these little bites come in! I heard someone saying recently that they have a rule in their house which says only homemade treats are allowed. Sounds good to me. That way you are in full control of what is going into your treat and subsequently into your body. 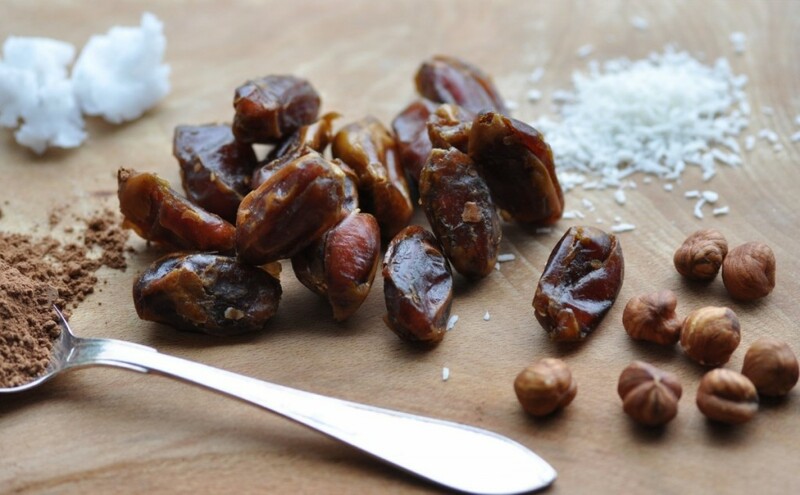 Yes, dates contain sugar. But they are also a source of fibre, iron, magnesium and potassium. Peanuts will give you some good fats and protein. 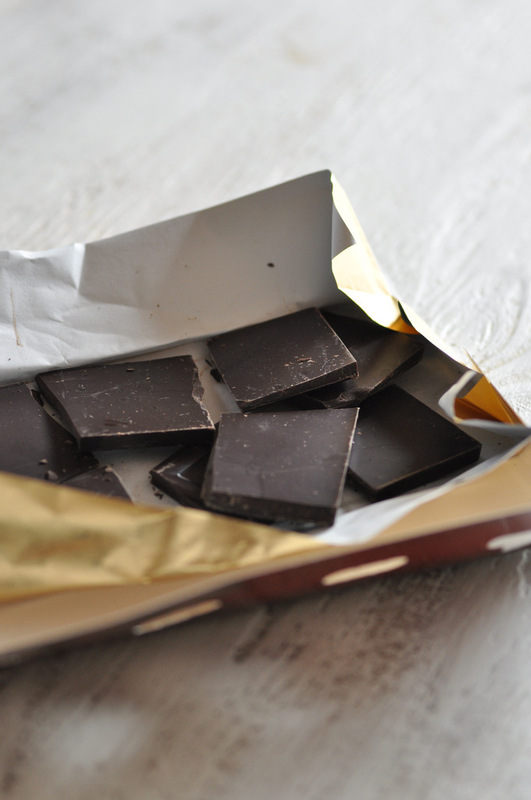 Good quality dark chocolate is rich in antioxidants. 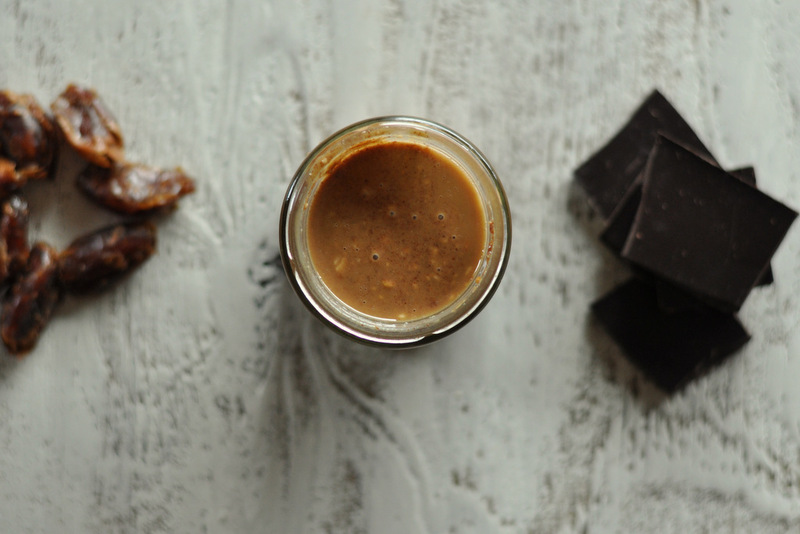 I believe when we eat nourishing, good quality wholefood, less becomes more so even though they are still to be considered a treat, this kind of treat will serve not just as a short term treat for your taste buds, but will do some good for your body good longterm too. Because I am of the opinion that life is for living, personally I prefer to keep the natural goodness in my life and enjoy raw treats like these. In a small sauce pan, gently melt the coconut oil and then mix in the peanut butter. Mix until well combined. Add the dates to the bowl of your food processor. (I seriously have no idea what I did before mine entered my life…) Add in the peanut butter-coconut oil mix and a pinch of sea salt or Himalayan pink salt. 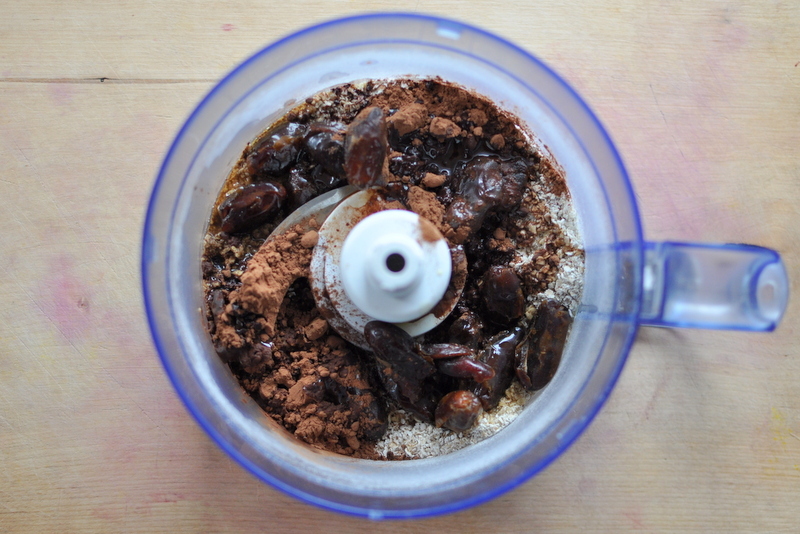 Blend until you have a ball of sticky date-goodness. Proceed to making small little balls. In a bowl over some boiling water, melt the chocolate. When fully melted, remove from stove top. 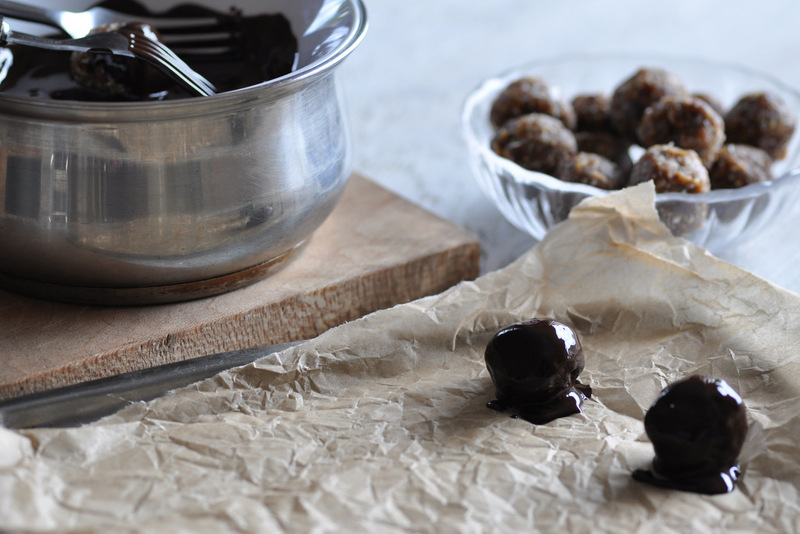 Dip each date ball into the melted chocolate and fish it back out with the help of two forks. 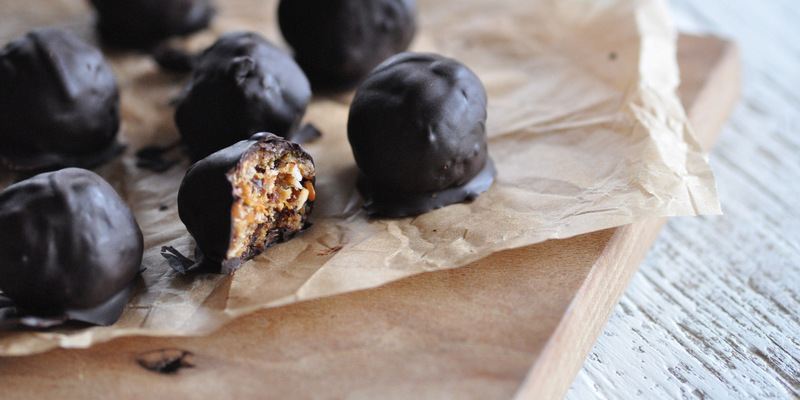 Place each peanut butter chocolate bite on a tray lined with parchment paper. 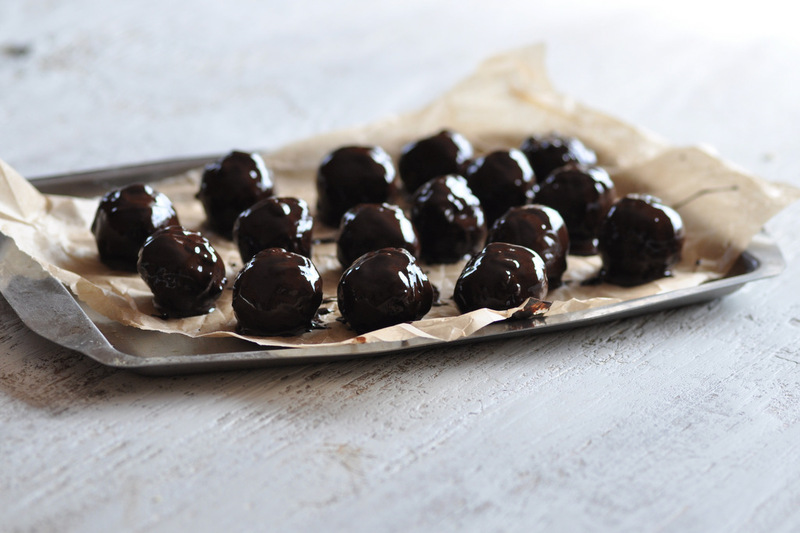 Let the bites cool and the chocolate coating set in the fridge before you treat yourself to one of these better-for-you peanut butter chocolate bites. Your little delicious treats will store in an airtight container in the fridge for a couple of days. 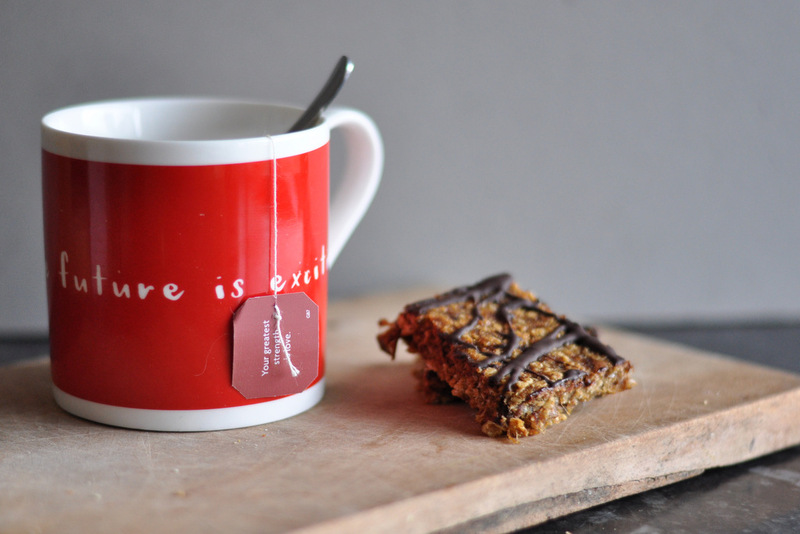 These guys are perfect as a little side for your perfect cup of coffee or your favourite cup of tea. 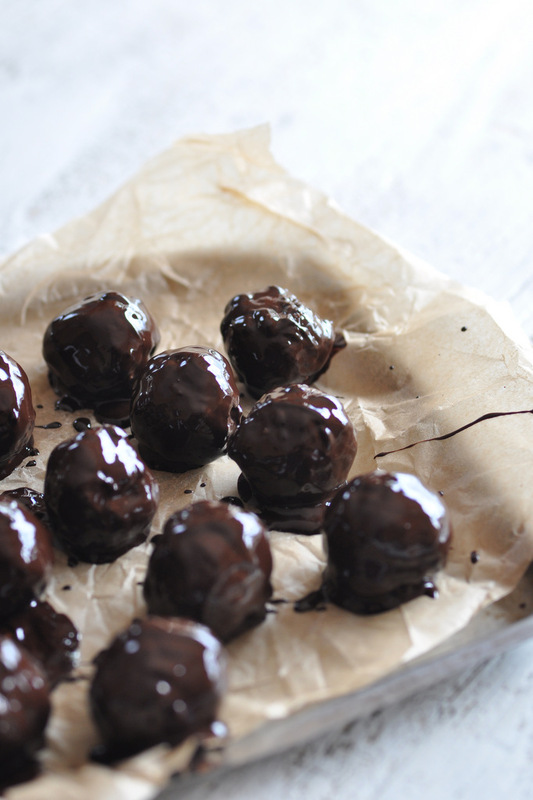 Note* If you are familiar with making raw chocolate, then do use that as a coating instead of the dark chocolate. For simplicity I have gone with regular dark chocolate. For a higher nutrient profile and even less processed goodness I would use raw chocolate, if that appeals to you. 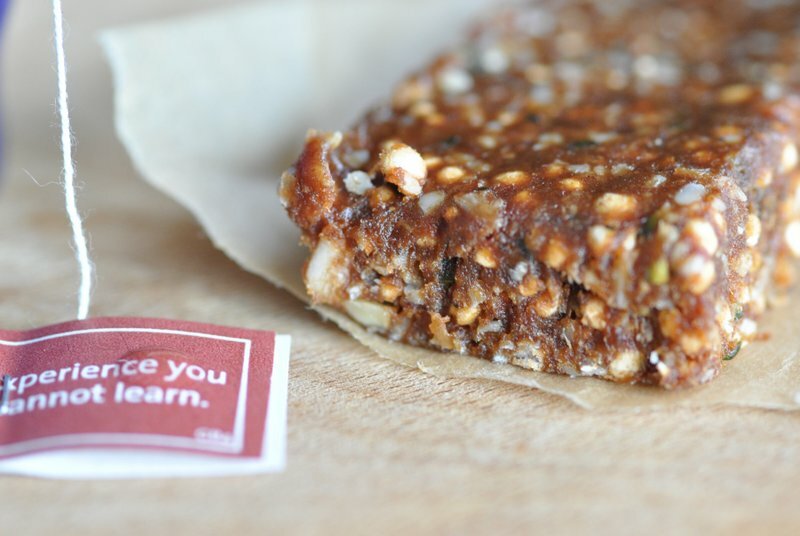 Hemp & Quinoa Protein Bars – And a warm welcome! 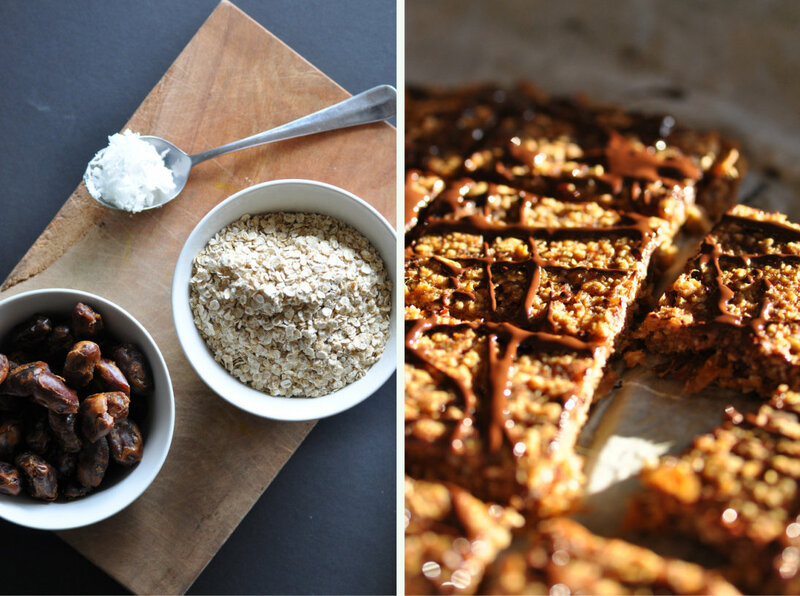 So here we go… The very first blog post on Straightforward Nutrition’s new shiny website! I am pretty excited to begin this new part of our journey. I’ve been thinking about it for months now. How lovely it would be to create a space that would be dedicated to food. You know REAL food. The stuff nature provides. Not the stuff that comes in plastic bags or stored in boxes. No, the type of food that sits quietly, with out any labels, telling you about calorie content or making confusing health claims. It’s about the type of food that is so good for us. The type of food that is medicine. In my job as a Nutritional Therapist, I advice people on how to use food as medicine. For most people this involve some more or less radical dietary changes. (Even though I hate the word “diet”, I do use it from time to time) To make my clients life easier I try to give them easy tools on how to translate the science of using food as medicine into tasty meals, that the whole family can enjoy. Not always as easy as it sounds! It is my ambition that this space will become a place for you to refer back to, for recipes and inspiration, as you make changes to your own lifestyle to become the healthiest you can be. There is so many amazing food blogs already out there and I feel truly blessed to be part of this amazing community. I have compiled a list of people who inspire ME over here. To celebrate the launch of my new website I have decided to treat you to one of my own favourite creations. I think most of us would think of sweet treats when thinking of a celebration of some kind so this is a sweet treat recipe. It is also a chance for me to invite you into the world of treats free of refined sugars, which are also naturally free from gluten, egg and dairy. 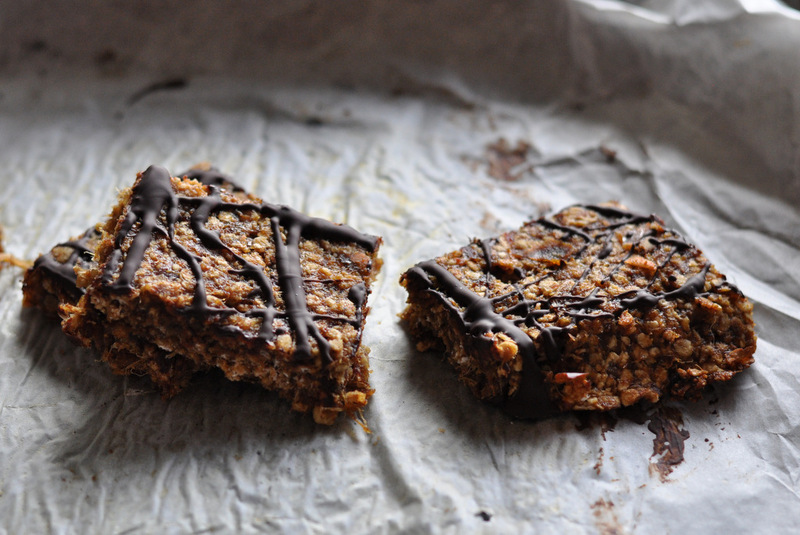 Perfect as a recover snack after exercise, or with a cup of tea in the afternoon. And I bet your kids will love them too! Enjoy. Quickly soak the dates in hot water. Place them in a bowl. Add boiling water. Soak for one min. Drain well. 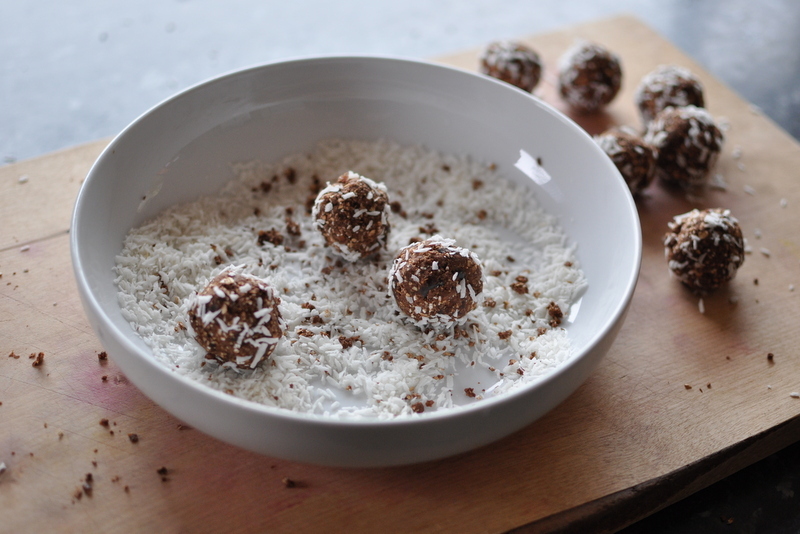 Add the dates, coconut oil, cacao powder, protein powder (if using), shredded coconut, salt and vanilla extract to a food processor. Blend until a sticky dough is formed. Place the dough in a large bowl. Add the quinoa puffs and the hemp seeds to the bowl. 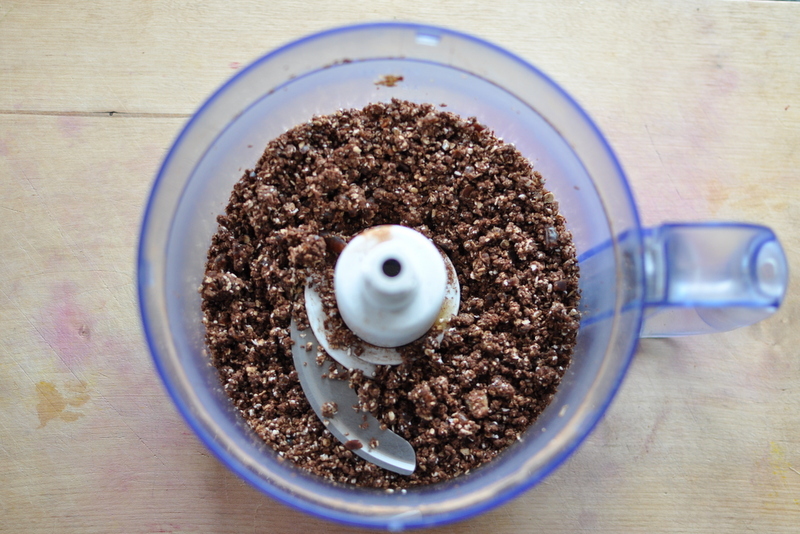 Knead the seeds and puffs into the date mix, with your hands, until well combined. Press the mixture in to a square tin lined with parchment paper. About 1/2 inch thick. (1.5 cm) Place the tray in the fridge to set for about an hour. Then cut into bars or squares and store between parchment paper in an airtight container in the fridge. The bars will keep for 4-5 days in the fridge.